I have just started a new line of blackened beeswax blend items that have been rolled in spices for that primitive look. Bringing an old fashioned country primtive style to your home with our handmade framed stitcheries, critters, dolls and more! Wholesale available. Welcome to Old Road Primitives! Your Prim Craft Pattern Store! We have a ***GREAT*** selection of ~Fall~ & ~Christmas~ Primitive Craft Patterns! Don't forget to check out our current "Pattern Special"! Take a primitive journey back in time to yesteryear and see all the old, worn, grungy, handmade primitive items that we have to offer. Come down to the farm where you will find Patterns; Primitives and seasonal items. Keep checking back as we are adding new items daily. We proudly offer FREE SHIPPING within the US! Primitive country home decor featuring primitive style cabinets and shelves. We are proud to offer many handcrafted in America items as well as a mix of imported items from top names. Purveyor of Colonial and Primitive Home Decor, Gifts and Accessories! From the heart of Southwestern Pennsylvania, we are proud to present our Hand Poured Candles, Prim Home Mists, and handcrafted primitive collection. Quality Primitives for your Home !Wholesale Welcome! Unique primitive, vintage, and cottage graphics for your website, blog, crafts, and scrapbooking. A Primitive Gathering of Treasures for your Pleasure. We specialize in handmade primitive and country home decor made in the America. Specializing in Primitive, Country and Colonial Home Decor. Quality products, large selection, affordable prices! We specialize in handcrafted items including wooden signs, primitive wreaths, seasonal items,primitive pictures, enamelware, ironware, candles, and many home decor and primitive decor items for your home. A Primitive Place ~ The place to find Primitive Antiques, Quality Reproductions, and Hand Made OOAK items. I offer such items as Quilts, Samplers, Vintage Clothing, One Of A Kind HM Dolls. We offer a unique collection of mostly handmade homespun and primitive gatherings.We welcome special and custom orders. We Specialize in quality handcrafted Custom Wooden Primitive Signs and shel sitters that will enahnce any room in your prim home. Come in and see our Prim Mailboxes too!! Monthly Specials!! Wholesale inquiries Welcome!! Primitive and Country style Home Decor and Country Gift Shop. We specialize in Primitive Home Decor and offer an abundant collection of affordable merchandise. Offering Unique primitives and Folk Art. Specializing in Halloween and Christmas. 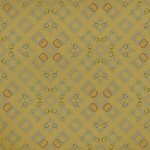 LOTS of E-Patterns and Printed Patterns available too. Stop in for a spell and get your FREE E-pattern and view my FREE e-classes! New items added all the time! A cozy primitive mercantile filled to the brim with primitive, country, vintage and shabby web sets for your website. More graphics to be added to our inventory soon. Primitive Friends welcome! Providing effective yet economical website promotion services for country crafts, primitive home decor, and WAHM web sites. Banner advertising, plug boards, link exchanges, SEO, top sites, submissions, free webmaster resources, and more. Heirloom Quality, One-of-a-Kind Primitive Artist Dolls, Bears, Elephants, Hares. Creating Prim Bears since 1993. Stitches and wood with a Folk Art Style. I enjoy using crows, sheep, pineapples and willows with colonial touches in my work. Tattered prairie dolls, penny rugs, wood items and seasonal treasures. A collection of primitive, folkart, and whimsical patterns for dolls, ornies, and more! Also, finished dolls, primitives, bowlfillers, wreathes, and rusty tin! Handmade with love primitive goodies! Primitive and country woodcrafts manufacturer specializing in lamps, clocks, candles, lanterns, and antique reproductions...Retail and wholesale. Our primitive wares are sure to bring you much joy and help you create a home that welcomes the past and treasures the simplicity of the early years. Custom web design for the primitive at heart. FREE web updates for with our web hosting! My online candle shop features hand poured wax products that includes goat's milk soap, air fresheners, tart melts, pillars, wickless candles, container candles, votives, as well as many accessories! Specialise in supplying antique tables and old country tables which mainly include farmhouse tables, refectory tables, antique dining tables and antique kitchen tables. Find the best in primitive country arts and decor at Ol' Prairie Moon Shops. Browse our directory for links to prim sites or shop on-site for finished crafts, patterns, and prim decor items. Free directory listings too! Quality handcrafted primitive and vintage wood signs. Specialize in vintage advertising signs, wood (woody) boat signs, outboard motor signs, pet breed signs; and primitive signs. Olde Homestead Barn brings us a touch of the past. From Primitives, One of a kinds, Primitive EPatterns, Prim Recipes, CD's, Prim Club, Stitch Club and so much more. We welcome you to explore our humbling offerings. Herbal Soaps and Candles, Potpourris, Room Sprays, Herb Dips, Teas, Jams, Garden Gifts, Bee Skeps and Primitives. From our Hearts to yours. Offering hand painted treasures for your home. Come check out our collection of gingers, raggedies, primitive and seasonal ware along with our handcrafted wood signs. Country Wares offers Country Decor and Primitive Decor for your home, including Country Lighting, Chandeliers, Punched Tin Lighting, Braided Rugs, Country Curtains, and Bedding. Here you will find unique primitive and country decor at Olde Thyme prices. I offer crows, prim dolls, grubby items, candes such as pantry cakes, tarts, seasonal items, rag swags and quilts and Americana items. All my items are handmade by me. Handmade and handpainted country and prim items featuring apples, gingies, americana, and more! Shop for primitives, folk art, our one-of-a-kind woodcrafts, home furnishings, decor, and more that you would want to decorate your country, early, primitive, folk art, and shabby or chic homes with. Online marketplace featuring shops and crafters who offer country, primitives, folk art, candles, bath-n-body, graphics, handmade, wholesale & much more! Advertise your site with us too! Shop our large collection of framed art featuring country, folk art, primitive art, floral, landscape, children's art and more. Primitive, Country, Colonial wares and decor. Early style/Primitive/Colonial wool Penny Rugs, made in USA, ORIGINALS, DESIGNED and HAND SEWN by me. Early style Penny Rugs made from 'washed vintage' US issue Army blankets and all wool designs. I use reproduction 'Civil War' fabric for backing. Sweet N Sassy Clipart has a large and unique selection of high quality clip art and scrapkits that can be used for a variety of crafts as well as digital and traditional scrapbooking. Highly scented, hand poured soy candles, tarts and votives. Long lasting, clean burning candles. We carry over 100 different, unique scents. Man Candles also! We cater to finding you the best businesses from candle, bath n body and handmade etailers on the web. You'll find all their samples in one box to try for yourself. Limited quantity available, so hurry to mark the sale date! A unique gathering of mostly handmade and handpainted home decor, featuring , primitive, rustic, country, lodge, and much more...! Have you ever dreamed of owning your own store? Well, now you can with Ezbuilder. Ezbuilder is affordable and easy to use. We do all the work for you and all you do is add your products. Stop by and take a tour. Get Started Now! We offer Dolls, Primitive Lighting, One of a Kind Attic Creations, Needfuls, Jewelry, Fall, Winter and Every Day Items and so much more. 75 Huckleberrie Primitives Candle Co.
A Vintage Country Farmhouse , carries a wide variety of items . Primitive items , Vintage items , all styles . Craft supplies , home decor and much more . We also do web design . Stop by and check us out . Angies Raggedy Patch is filled to the brim with Prim! Find raggedies, primitive dolls, black dolls,ornies, bowl fillers and more! My blog for sharing my love of primitives and highlighting my painted wooden treasures. I enjoy making something special out of my estate sale and antiquing finds. Sharing with others who are just as hooked on prim as I am is the best part of my job! OOAK And Unique Primitive, Rustic & Folk Art Handmade dolls and home decor. I specialize in OOAK Primitive Dolls,critters & such. You will find Needlework, rug hooking and primitives paintings as well. I use olde vintage quilts, hand dyed wools,linen threads and vintage clothing to create my items. Stop by and enjoy my world. Visit my Primitive Albums offering Primitive Handmades, Seasonal, Dry Cakes and Cones, Early Antiques and more! Handcrafted framed art made in the USA. Hundred's to choose from. Great Pricing!!! I make all my Lizzies Raggs rag dolls. My designs are OOAK. Very primitive raggedies and black dolls. We have reproduction tin lighting made in America. We have a kids section of unique handmade items. Anything Primitive I love! Primitive early look/Colonial style candles poured in early/Colonial scents. We fill our jars with pure soy wax, all cotton wicks, and the maximum amount of scent! Tarts and other scented goodes avaialable. See you there! No pressure site about what's going on at my wee home pottery studio in the Kootenays. Pictures, anecdotes, tips, and an open invitation to visit the studio. Handmade Gifts, Vintage Finds and Decor That'll Warm Your Heart and Home. Offering primitive floor coverings & early American reproductions. Shop from a selection of coverlets, colonial lighting, treenware, historic floor cloths, braided rugs, military signs and much, much more! One of a kind woodcrafts and furniture for your primitive home.